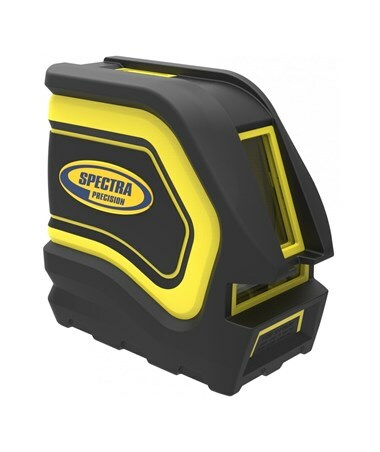 Providing 4x more visibility than red line lasers, the Spectra LT20G Green Beam Cross Line Laser is a practical line laser that casts one vertical plane and one horizontal plane when doing building and remodeling projects. 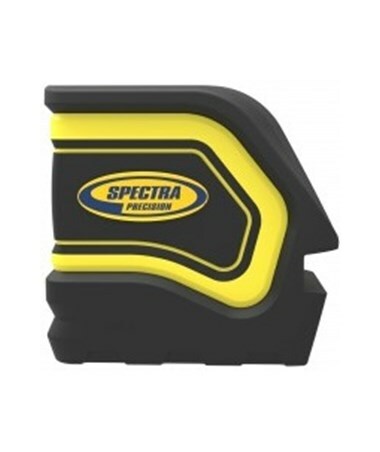 With a 1/8-inch accuracy at 30 feet, it can work with a visual distance of up to 100 feet. Also, it is self-leveling within ± 4 degrees in all directions. 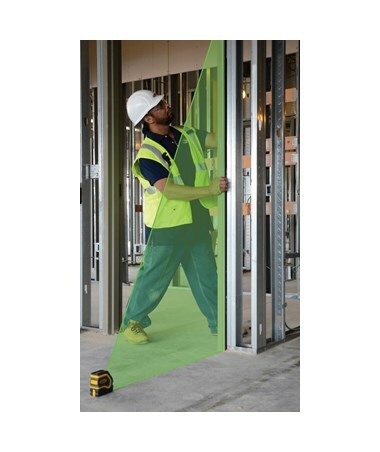 The LT20G features a wide class 2 green laser that has a 130-degree horizontal fan angle and a 150-degree vertical fan angle. 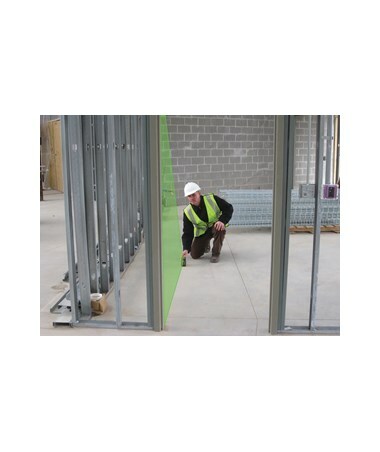 It includes both a magnetic bracket and a ceiling clamp that provides versatility when mounting to surfaces. 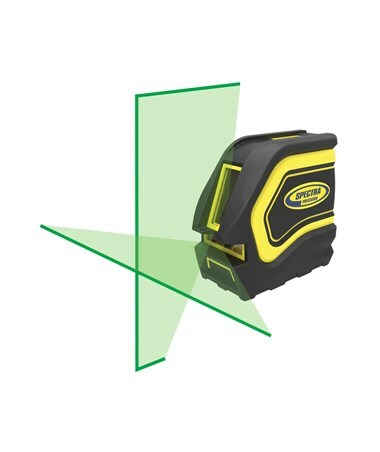 To avoid errors during operation, this cross line laser features an out-of-level indication in which the laser beam flashes three times every five seconds. 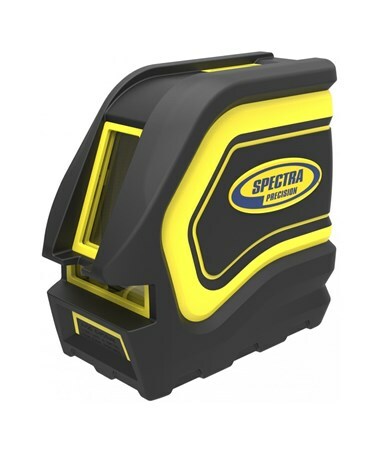 With an IP54 rating, the LT20G is dustproof and water resistant. 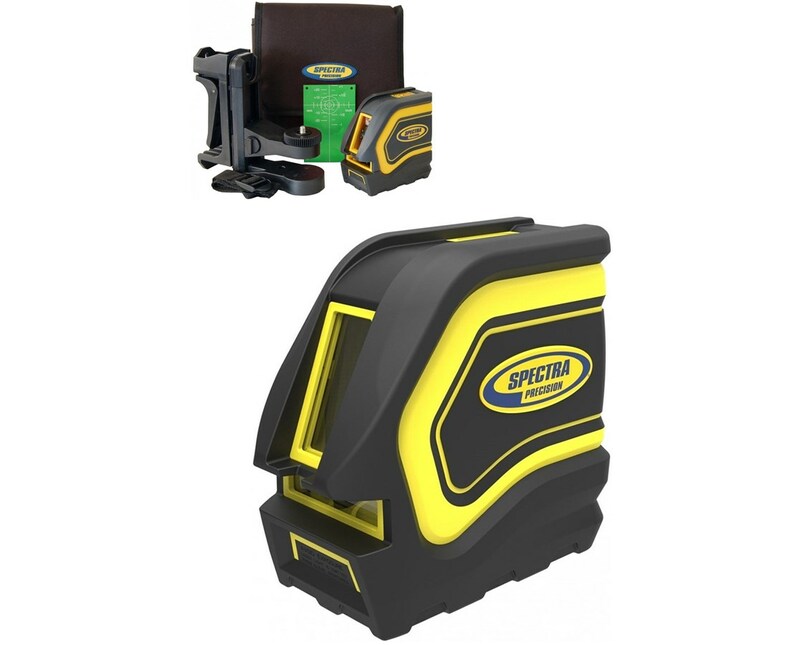 It is built with a rugged, strong design that can endure a drop up to three feet. 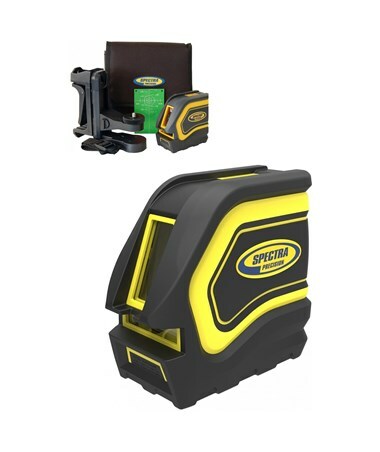 This Spectra laser level uses four AA alkaline batteries that power the device up to 20 hours of continuous use.